The Guidebook is a mile-by-mile description of the Mother Road and provides convenient driving directions that the traveler can follow using a vehicle trip-odometer. In addition, there are valuable lodging and dining recommendations. The book is divided into two sections of 90 pages each. One section provides directions for driving westbound from Chicago to Los Angeles. Flip the book over and you have the other section for eastbound drivers going from Los Angeles to Chicago! Click here to see a reproduction of the westbound directions that correspond to the map below. Click here to see a reproduction of the eastbound directions that correspond to the map below. 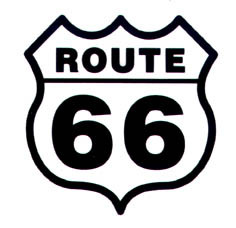 For the daring traveler, there are also descriptions and driving directions for touring older, abandoned alignments of Route 66. Known as "Adventure Tours", these excursions range in difficulty from moderate to extremely challenging, and even if you don't actually drive them, they're fun to read about and track in the Atlas. 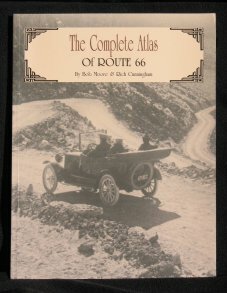 The Atlas contains 236 maps and each map contains numbered waypoints. 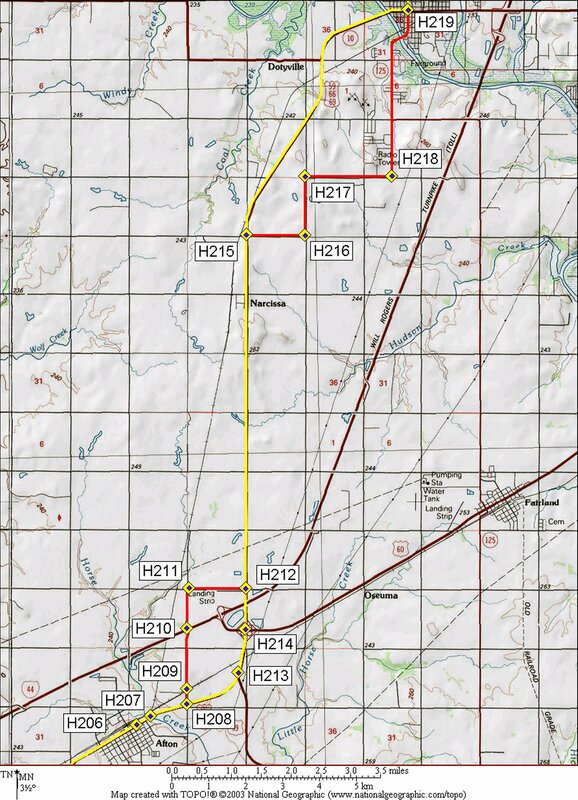 These waypoints - which were mapped by GPS using National Geographic's TOPO software - correspond to the driving directions, etc., that appear in the Guidebook volume. 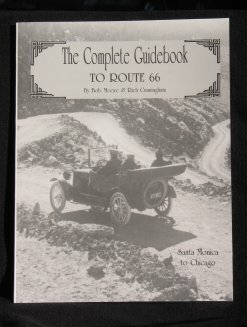 To order the 2 volume book set ($29.95 plus shipping and handling), call Route 66 Magazine at 727.847.9621 during business hours (United States Eastern Time) or visit www.route66magazine.com, and thanks for stopping by!